"P4000 needs to combine both aesthetic and functionality"- We kept the goal in our heart when we were designing P4000. Consumers desire to have elegant looking smartphones. And the significant element is the metal frame. Samsung released the Galaxy Alpha with the beautiful frame and Xiaomi Mi4 has the metal frame surrounded too. Besides, P6i which packs metal frame became one of our best selling products. The trend is obvious, and we made it better and exquisite. P4000 features a 5.0" HD JDI display and runs Android 4.4.2 Kitkat. 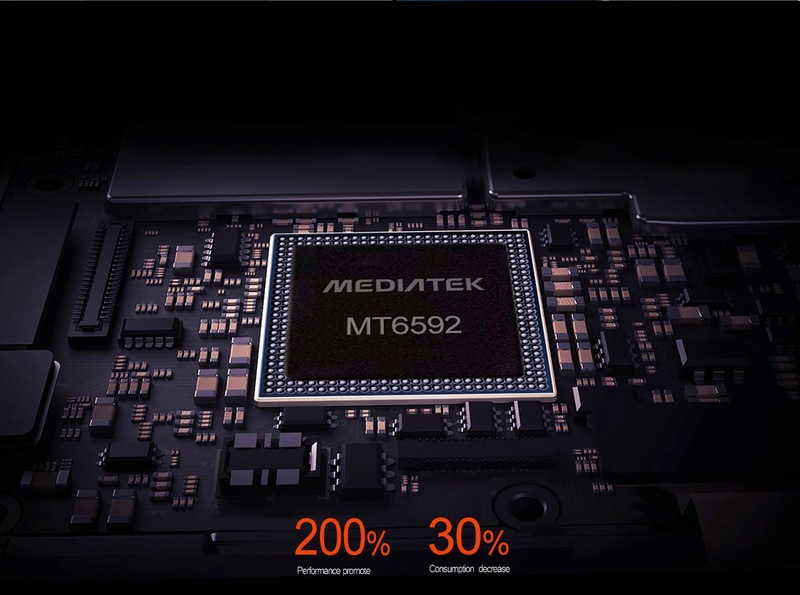 It's powered by MTK 6592 Octa core processor and 2GB of RAM. It has 16 GB internal storage and SD card slot supports up to 64GB. The rear camera is 16MP and front camera is 8MP with face beauty mode available.